John Jones Steel is committed to a partnership with the UC Quake Centre to help improve community resilience in Christchurch, and throughout New Zealand, following the devastation of the Canterbury Earthquakes. A well-established company with over 50 years experience, John Jones Steel Limited operates throughout New Zealand as one of the largest and most advanced structural steel fabricating enterprises, with a proven ability to successfully undertake structural steel projects of any magnitude. 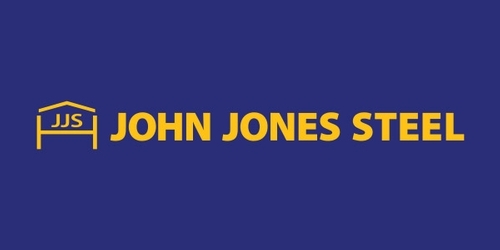 John Jones Steel was established in a small Christchurch workshop in 1964 by John and Riet Van Schaijik and grew rapidly - built on their enviable reputation for efficiency, commitment, quality of workmanship and reliability. Today, it’s large, modern and well-equipped Christchurch workshop extends to providing covered facilities for every stage of the fabrication and finishing process. Currently under construction is a new 39,000 m2 Christchurch facility where it will be possible to carry out every stage of all work - from fabrication to finishing - under one roof. These many factors combine to ensure John Jones Steel Ltd’s successful involvement in the majority of structural steel projects undertaken in Canterbury for the earthquake rebuild as well as in other large projects throughout the South Island. John Jones Steel is proud to partner with the UC Quake Centre and help shape the Canterbury rebuild.